In the bathroom, many unwanted bacteria can accumulate. The positive microorganisms contained in probiotic eMC cleaners permanently remove these bacteria. 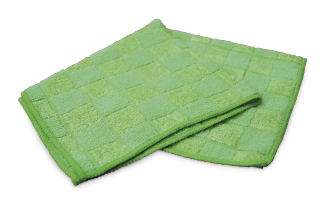 The Effective Microorganisms are reactivated when there is re-soiling and remove the soiling. Pour eMC All-Purpose Citrus Cleaner into the water bucket and clean the surfaces with the cleaning solution. In case of problems with limescale, the use of eMC Scale Cleaner is also recommended. Do not mix eMC cleaner with excessively hot water - the microorganisms work most effectively in warm water. 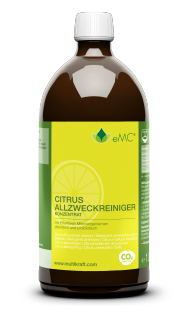 Add eMC All-Purpose Citrus Cleaner and water to the spray bottle and spray onto the surfaces - allow to take effect for a short time and then clean. 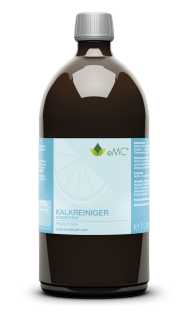 In case of problems with limescale, the use of eMC Scale Cleaner (100 ml for 1 l water) is also recommended. Do not mix eMC cleaner with excessively hot water - the microorganisms work most effectively in warm water. 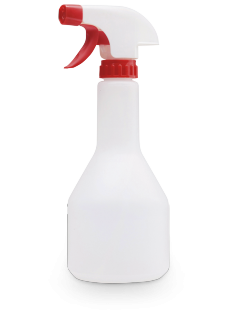 Mix eMC cleaner with water in the spray bottle, spray onto the mirror - allow to take effect for a short time and wipe dry with a soft cloth. For streak-free cleaning, use the very soft bamboo multi-purpose cloth. Mix eMC cleaner into the water in the spray bottle and clean the surfaces with the spray solution. For added shine or in case of problems with limescale, eMC Scale Cleaner can also be used. 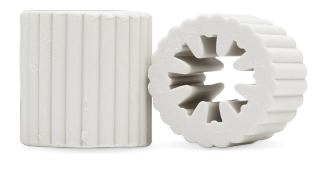 To reduce water clusters, which results in fewer limescale deposits, fit one EM Ceramic 35 mm Pipe in the cistern. 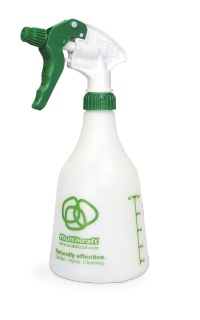 Mix eMC Scale Cleaner with water in the spray bottle, spray onto the scaled surface and leave to take effect, then wipe off. Apply 1 to 2 times per week, repeating the application several times and extending the application time if necessary.